TLJ News: September 11-15, 2013. 9/13. The Federal Communications Commission (FCC) released a document [84 pages in PDF] titled "Notice and Filing Requirements, Reserve Price, Minimum Opening Bids, Upfront Payments, and other Procedures for Auction 96". This auction pertains to the advanced wireless service (AWS) H block licenses in the 1915-1920 MHz and 1995-2000 Mhz bands. This notice sets a commencement date of January 14, 2014. The 2012 spectrum bill, which was part of HR 3630 [LOC | WW], the "Middle Class Tax Relief and Job Creation Act of 2012", enacted by the 112th Congress, required the FCC, within three years, to auction the 1915-1920 MHz and 1995-2000 MHz bands. See, Section 6401(b) of that Act, which is codified at 47 U.S.C. § 1451(b). The FCC issued its Notice of Proposed Rulemaking [60 pages in PDF] in December of 2012. The NPRM is FCC 12-152 in WT Docket No. 12-357. The FCC adopted it on December 11, 2012, and released it on December 17, 2012. It sets a reserve price of $1.56 Billion. FCC Commissioner Ajit Pai wrote in a statement that this auction "will help deliver bandwidth-intensive mobile services and applications" and "provide much-needed revenue for the First Responder Network Authority to build out a nationwide, interoperable broadband public safety network". FCC Chairman Mignon Clyburn also wrote positively about this notice in her statement. However, Commissioner Jessica Rosenworcel lamented that Section 6401 of the 2012 spectrum bill provided for auctioning a total of 65 MHz, but the upcoming auction only pertains to 10 MHz. Rosenworcel (at right) wrote in her statement that "I fear this approach fails that test. That is because holding a single auction of all 65 megahertz at once is bound to yield more interest, more bidders, and more revenue than dividing this spectrum up and holding an auction of the 10 megahertz H block alone." She added that "splitting this spectrum up for auction will likely limit interest in the H block to only one, or possibly two bidders. If that is true, we will have a retail sale -- not an auction. Moreover, it will mean reduced revenue from this spectrum -- and less support for our nation’s first responders." This is notice is DA 13-1885 in AU Docket No. 13-178. 9/13. The White House news office announced in a release that Gene Sperling, Director of the National Economic Council (NEC) and Assistant to the President for Economic Policy, will leave on January 1, 2014, and that President Obama will appoint Jeffrey Zients to be Director of the NEC. 9/13. George Mason University law school hired Douglas Ginsburg to be a professor of law. He will also continue as a senior status Judge of the U.S. Court of Appeals (DCCir). See, GMU release. 9/13. The Federal Trade Commission (FTC) published a notice in the Federal Register (FR) that announces members of its Performance Review Board. They are David Robbins (Executive Director), Jonathan Nuechterlein (General Counsel), Deborah Feinstein (Director of the Bureau of Competition), Jessica Rich (Director of the Bureau of Consumer Protection), and Pauline Ippolito (Deputy Director of the Bureau of Economics). See, FR, Vol. 78, No. 178, September 13, 2013, at Page 56703. 9/13. The Wall Street Journal published a story by Mark Maremont titled "Google Jet Fleet Loses a Pentagon Fuel Perk: Questions Raised About Founders Use for Non-Government Flights". It states that the Department of Defense did not renew an agreement that had allowed jets owned by Sergey Brin, Larry Page and Eric Schmidt to use Moffett Federal Airfield, and to buy "sharply discounted jet fuel bought from the Pentagon". The article states that "The most frequent destinations were Los Angeles and New York, but the planes also flew 20 times to the Caribbean island of Tortola; 17 to Hawaii; 16 to Nantucket, Mass. ; and 15 to Tahiti." 9/12. Sen. Al Franken (D-MN) sent a letter [2 pages in PDF] to the Federal Trade Commission (FTC) in which he expressed "concern about Facebook's proposed expansion of its facial recognition program". Nominally, Sen. Franken addressed his letter to Mark Zuckerberg, CEO of Facebook. However, he sent copies to the FTC Commissioners. The letter is in the nature of a request to a government agency to investigate. Sen. Franken is not a member of the Senate Commerce Committee (SCC), which oversees the consumer protection activities of the FTC. The letter does conclude with one question directed to Facebook. "How many faceprints does Facebook have?" Sen. Franken wrote that Facebook's "proposed expansion of this program is highly troubling, especially since Facebook has refused to promise its customers that it won't share this program or its data with third parties in the future". Sen. Franken explained that "Two weeks ago, Facebook proposed changes to its Data Use Policy that would expand the faceprint database to include faceprints of public profile phones -- not just the photos that users have been tagged in. Presumably, this would lead to a significant expansion of Facebook's faceprint database. It would also likely capture some of Facebook's least active users -- those who are visible in their public profile photo but are not tagged in any other photos. These people are often less active users who may not be aware of Facebook's privacy changes." "Facial recognition technology has profound implications for privacy." Sen. Sen. Franken (at right) continued that it "tracks you in the real world, from cameras stationed on street corners and in shopping centers, and through photographs taken by friends and strangers alike. Unlike other biometrics such as fingerprints and iris scans, which require physical contact or proximity, facial recognition can operate at a distance, entirely without the knowledge of the person being identified. And there is no practical way for an individual person to stop it." "Unfortunately, no federal law governs the commercial use of this technology." Sen. Franken warned that Facebook's database of "faceprints" could be "abuse by bad actors". The Senate Judiciary Committee's (SJC) Subcommittee on Privacy, Technology and the Law, which Sen. Franken chairs, held a hearing on July 18, 2012 titled "What Facial Recognition Technology Means for Privacy and Civil Liberties". See, SJC web page with hyperlinks to prepared testimony. The focus of that hearing was facial recognition technology generally, not Facebook's use of such technology. 9/12. 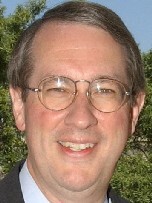 Rep. Bob Goodlatte (R-VA) and others introduced HR 3086 [LOC | WW], the "Permanent Internet Tax Freedom Act". This is one of four nearly identical bills introduced in the 113th Congress that would extend the Internet Tax Freedom Act (ITFA), which is set to expire on November 1, 2014. Rep. Goodlatte (at right) stated in a release that these bills ensure "that Americans can continue to access the Internet tax-free. In this increasingly digital age, Americans rely on access to the Internet to apply for employment, to seek and share innovative ideas, to keep governments accountable, to run small businesses, and to communicate with their families and friends. This legislation will help ensure more Americans have access to this tremendous medium by reducing cost barriers." Support for these bills is bipartisan -- as is the opposition. Also, the history of this legislation has been that supporters have introduced bills that provide for a permanent ban, and then the Congress eventually settles on a temporary ban. This bill would not add to, or delete, any of the numerous exceptions or grandfathering clauses. 9/12. Twelve House Democrats who represent districts located in the state of California sent a letter to the Federal Communications Commission (FCC) urging it "to proceed expeditiously with the adoption of a proposed rulemaking" regarding mobile phone location detection accuracy. The FCC's Public Safety and Homeland Security Bureau (PSHSB) issued a Public Notice (DA 13-1873 in PS Docket No. 07-114) on September 9 that requests comments, and announces an event, regarding this matter. The deadline to submit comments is September 25. The FCC's PSHSB will hold a workshop on October 2. See also, story titled "FCC Seeks Comments on Mobile Device Location Surveillance Capabilities" in TLJ Daily E-Mail Alert No. 2,598, September 10, 2013. The letter is signed by Rep. Henry Waxman (D-CA), the ranking Democrat on the House Commerce Committee (HCC), and Rep. Anna Eshoo (D-CA), the ranking Democrat on the HCC's Subcommittee on Communications and Technology. The current FCC pays particular attention to the requests of these two Representatives. The letter states that their concern is enabling first responders to identify the location of persons using wirelesss devices to place 911 calls. Rep. Waxman stated in a related release that "The FCC and public safety officials should work together to fix quickly this public safety gap in California's 9-1-1 system. I am asking the FCC to immediately review the system's shortcomings and ensure 9-1-1 operators have every tool they need to get emergency help to callers as quickly as possible." See also, Rep. Eshoo's release. Rep. Eshoo (at left) represents the 18th District, which includes parts of the Silicon Valley communities of San Jose, Mountain View and Palo Alto. The letter is also signed by Rep. Zoe Lofgren (D-CA-19), Rep. Mike Honda (D-CA-17), Rep. Eric Swalwell (D-CA-15), and Rep. Jackie Speier (D-CA-14), who, like Rep. Eshoo, represent Silicon Valley area districts. Four more of the signers represent nearby districts. It might also be noted that such a rulemaking would facilitate and improve commercial location based services. Moreover, many of the companies that provide such services are based in California, and especially in the Silicon Valley area. 9/12. Rep. Fred Upton (R-MI) and Rep. Greg Walden (R-OR) sent a letter to the Federal Communications Commission (FCC) regarding its proposed elimination of the UHF discount. The FCC's tentative agenda for its September 26, 2013 meeting states that the FCC is scheduled to adopt a notice of proposed rulemaking (NPRM) to accomplish this. This UHF discount pertains to the national television rule, which is part of the FCC's outdated and obsolete media ownership regime. This rule limits any entity from owning TV stations that cumulatively reach more that 39 percent of TV households nationwide. Currently, the FCC rule counts TV stations on UHF channels (14 and above) differently from TV stations on VHF channels (13 and below). See also, subsection titled "Media Ownership" in story titled "FCC Announces Tentative Agenda for September 26 Meeting" in TLJ Daily E-Mail Alert No. 2,596, September 5, 2013. Rep. Upton (at left) is Chairman of the House Commerce Committee (HCC). 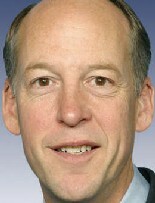 Rep. Walden is Chairman of the HCC's Subcommittee on Communications and Technology. The two began by stating that "we are not convinced that the existing limitations on broadcast ownership as a whole are appropriate or necessary in today's competitive media marketplace". They continued that "we have particular apprehension about this proposed change and its effect on the business decisions of broadcast station group owners". That is, this proposed change "could inequitably harm those broadcast owners with pending transactions that were initiated under the existing UHF discount rule". They asked that the FCC not apply any rule change to current licensees with transactions pending at the FCC. They argue that it should only be applied "prospectively to applications filed after adoption of a new rule". 9/12. President Obama announced his intent to nominate David Arroyo to be a Member of the Board of Directors of the Corporation for Public Broadcasting (CPB). See, White House news office release. 9/12. Federal Communications Commission (FCC) Chairman Mignon Clyburn gave a speech regarding the FCC's universal service subsidy program titled "Lifeline". 9/11. President Obama nominated John Carlin to be Assistant Attorney General (AAG) in charge of the Department of Justice's (DOJ) National Security Division (NSD). See, White House news office release and release. The previous NSD AAG was Lisa Monaco. She left to join President Obama's White House staff as counterterrorism advisor. The NSD was created in 2006. Kenneth Wainstein was the first AAG. Like Monaco, he then became the President's (Bush) counter-terrorism advisor. The NSD has a wide range of responsibilities, many of which are technology related. It has responsibility for prosecutions of espionage laws. This would include prosecution of Julian Assange and Edward Snowden, if the U.S. could obtain jurisdiction over them, and prosecuted them under 18 U.S.C. § 798. The NSD also has responsibility for prosecution of theft of trade secrets (often from US technology companies) under 18 U.S.C. § 1832. The NSD also handles criminal violations of export control laws (often sales of controlled information technology products to entities in the People's Republic of China). In addition, the NSD obtains seeks orders pursuant to the Foreign Intelligence Surveillance Act (FISA) from the body titled "Foreign Intelligence Surveillance Court", that contain individualized orders particularly describing the place to be searched, and the persons or things to be seized, as well as orders that create broad surveillance programs. Carlin (at right) has worked at the NSD since 2011, as a Deputy Assistant Attorney General and Chief of Staff, and since March as the acting AAG. Before joining the NSD, he worked at the DOJ's Federal Bureau of Investigation (FBI) from 2007 through 2011, including as Chief of Staff to former FBI Director John Mueller. Before that, he was a prosecutor in the Office of the U.S. Attorney for the District of Columbia. He was also briefly National Coordinator of the Computer Hacking and Intellectual Property program at the DOJ. 9/11. President Obama nominated Daniel Yohannes to be Representative of the US to the Organization for Economic Cooperation and Development (OECD). See, White House news office release and release. 9/11. Jina Choi was named head of the Securities and Exchange Commission's (SEC) San Francisco office. See, SEC release. 9/11. The Department of Commerce's (DOC) Bureau of Industry and Security (BIS) published a notice in the Federal Register (FR) that announces, describes, recites, and sets the comment deadline for, proposed changes to its Export Administration Regulations (EAR). The proposed changes, among other things, would require exporters to file an Automated Export System (AES) record for all exports subject to the EAR involving a party or parties to the transaction who are listed on the Unverified List, aka UVL. The deadline to submit comments is October 11, 2013. See, FR, Vol. 78, No. 176, September 11, 2013, Pages 55664-55671.